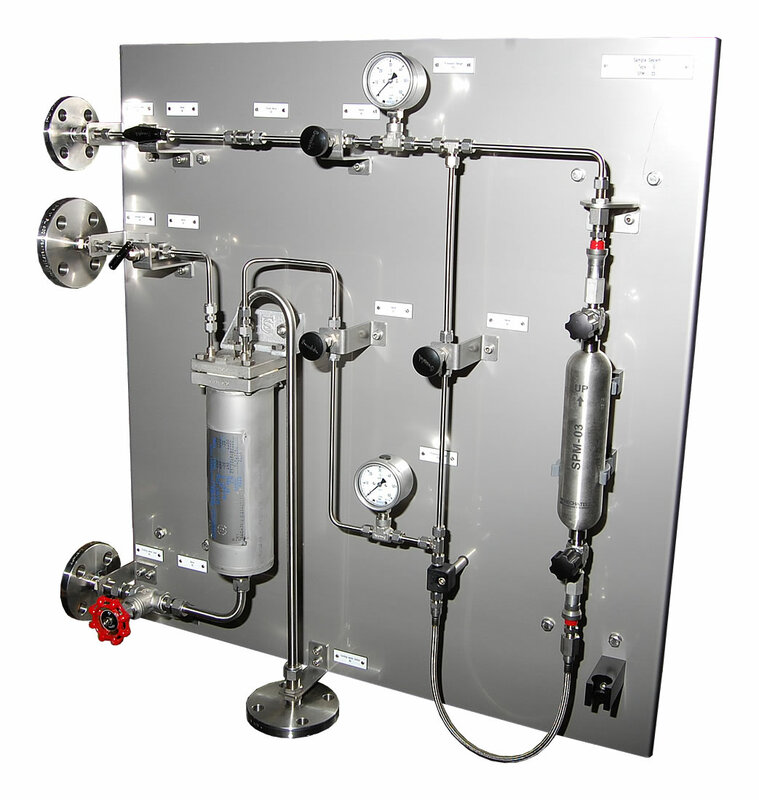 Spot Sample Stations for Gas and Liquefied Gas. 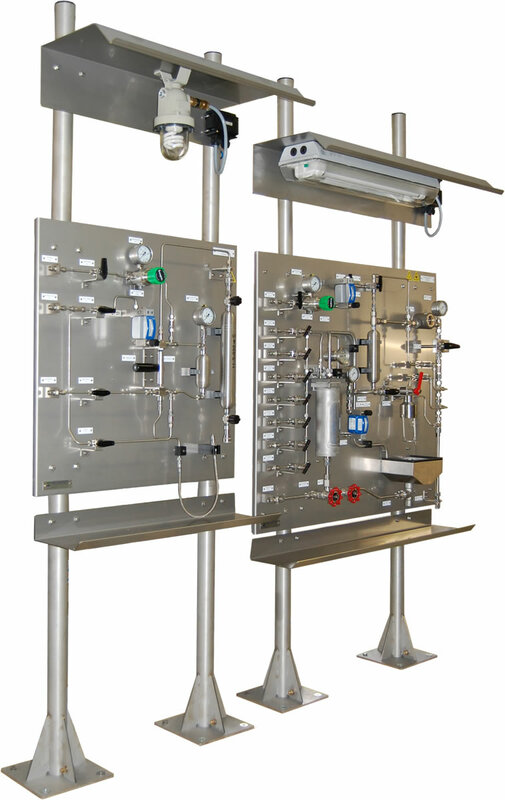 Mechatest design standard and custom made gas or liquefied gas spot sampling systems that can take spot samples of gasses, liquefied gas or flashing fluids under process conditions in sample cylinders. 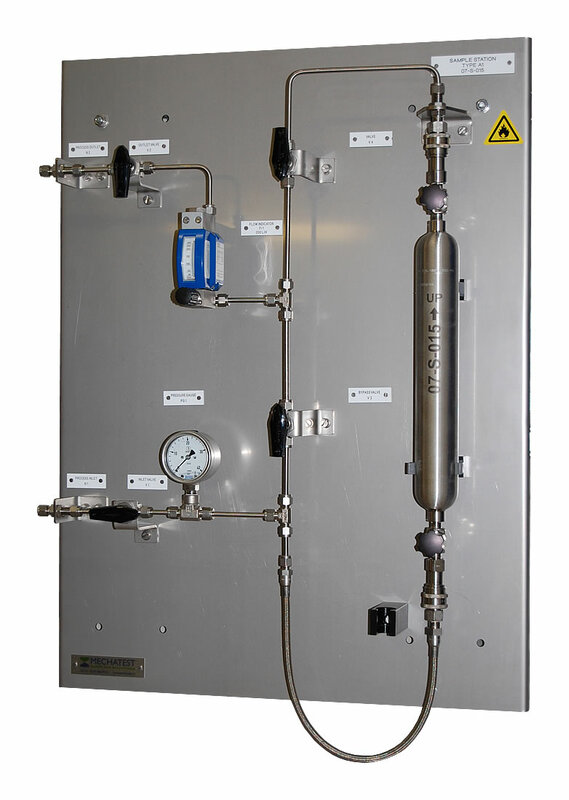 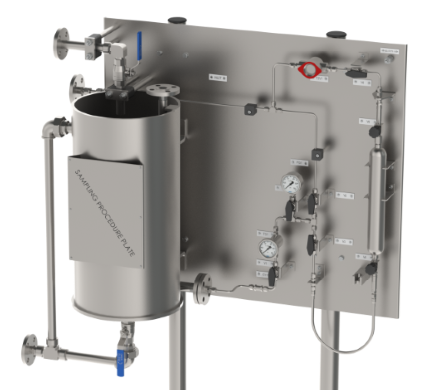 The systems with sample cylinders enable operators to obtain samples of gasses with high process pressures, liquefied, hazardous or toxic gasses. 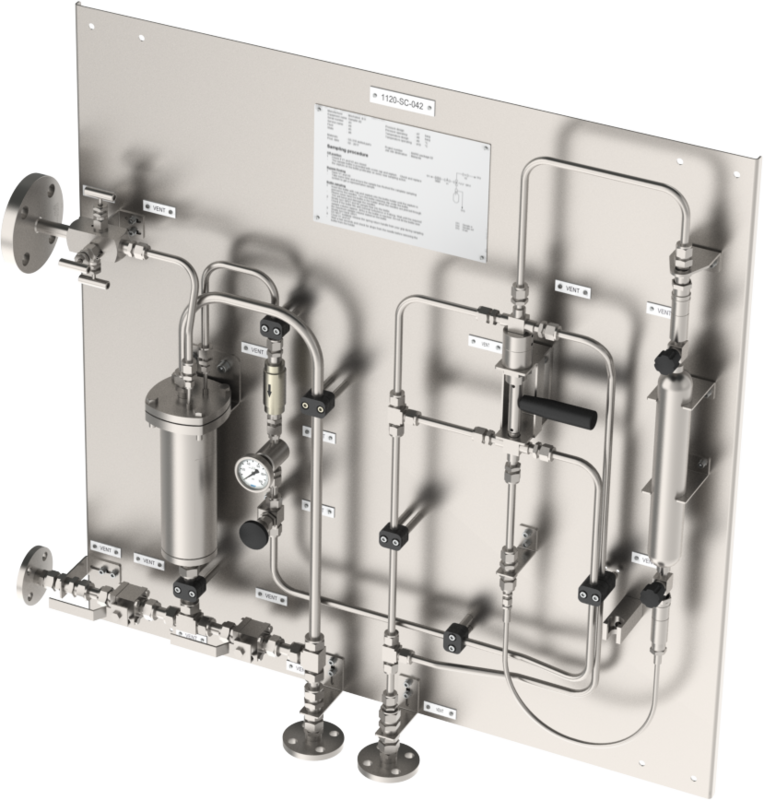 Cylinders conform European “Transportable Pressure Equipment Directive 99/36/EC” (TPED) or “Shipping Container Specifications” DOT from the U.S.
Sampling systems with NACE MR0175 or NACE MR0103 standards for sour gas (H2S) applications. 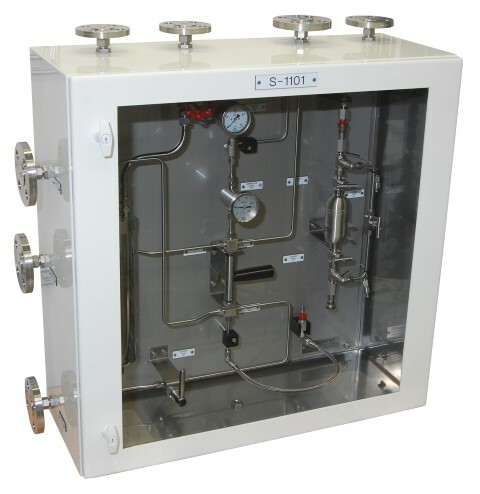 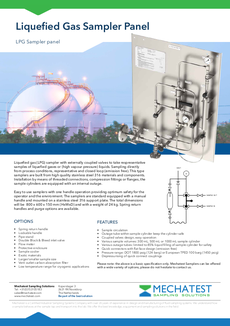 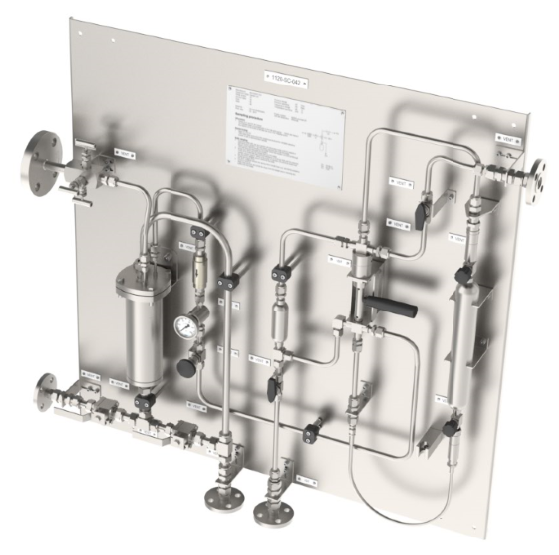 Gas or liquefied gas sample panels/stations, standard designs and custom made conform client specifications. 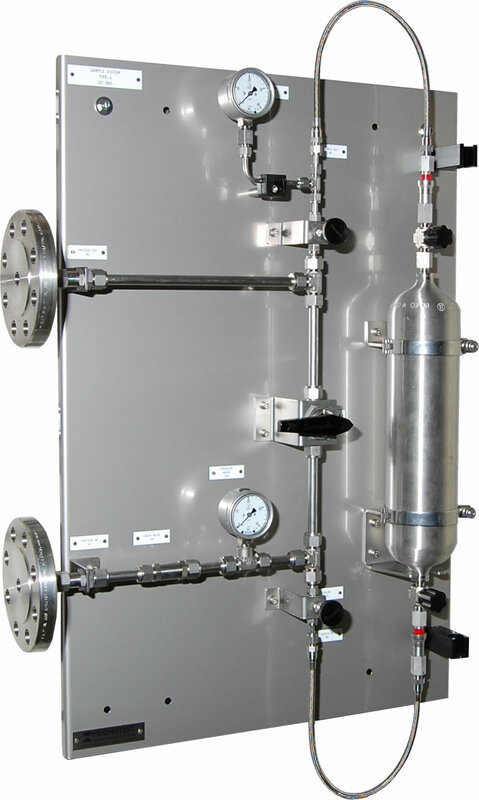 Sampling systems for Gas or Liquefied Gas Applications, for high pressure, low and high temperature, corrosive, arduous and sour service, strong toxicity, strong volatile and dangerous liquid gas mixture or gas which is bane to the environment. 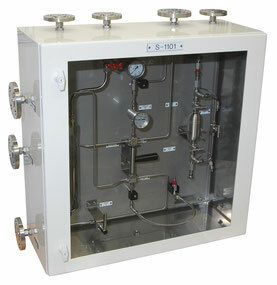 Sample cylinders for gas, liquefied gas or high pressure liquids. 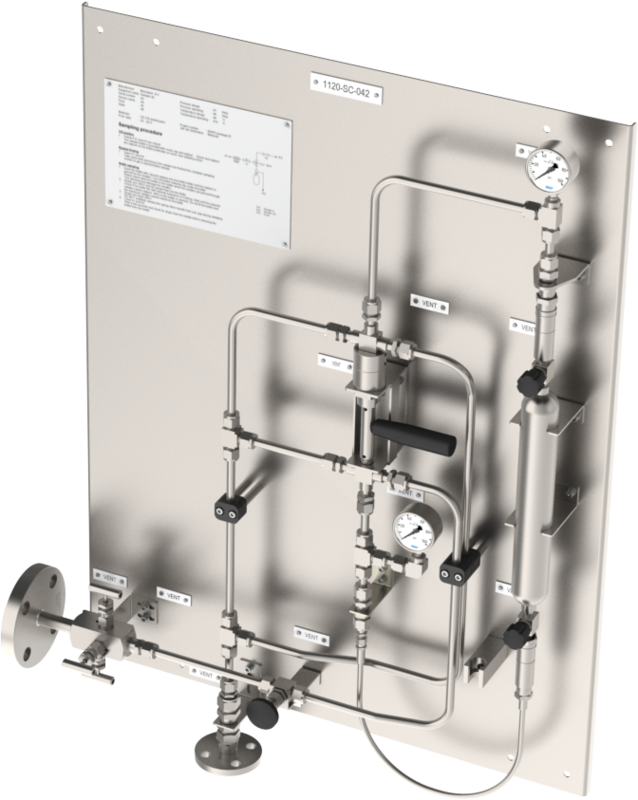 Complete cylinder assemblies with cylinder valves, quick connectors and cylinder tagging with QR-code. 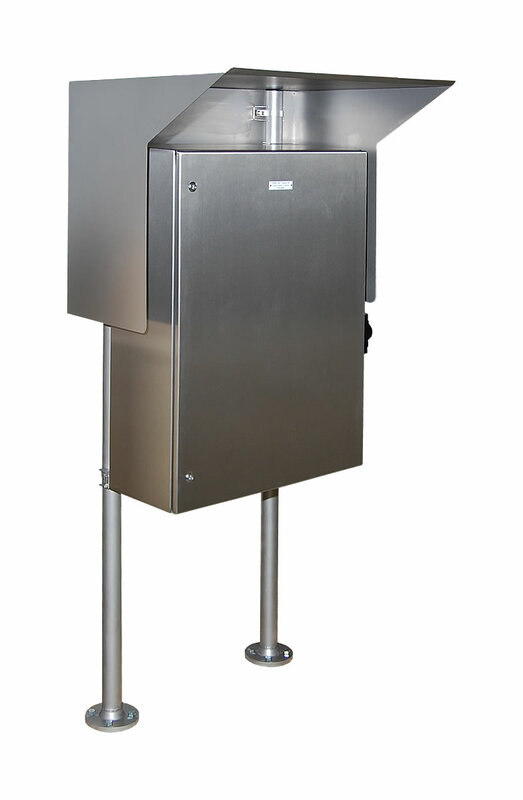 If there is no posiblility (for any reason) to place fixed mounted sampling points, the mobile (transportable) sampling solution is the better choice for you! 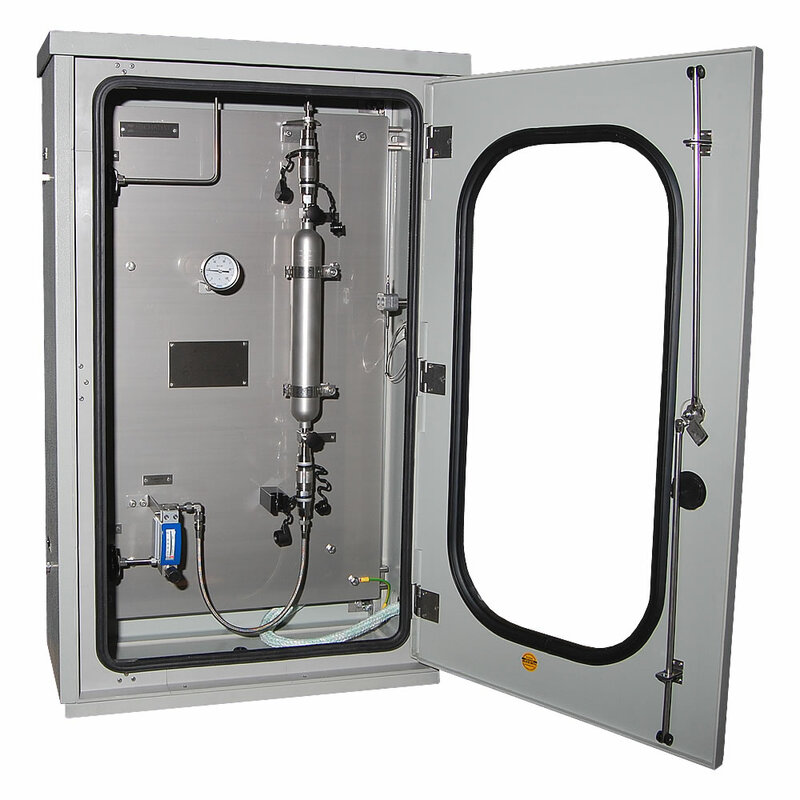 This is a custom made and money safe solution, we design for every application a portable sampling system for gas or liquid sampling. 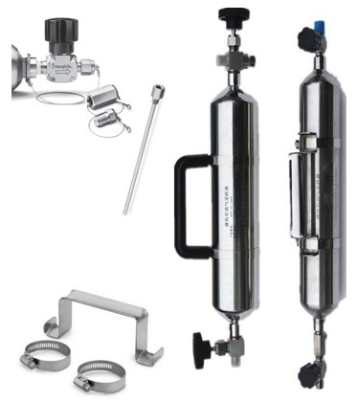 Mobile (transportable) sampling solutions carry with easy a several sample cylinders to the different sample tap points in your plant area.